At Paul Crowley & Co we aim to set a standard of excellence when providing high levels of customer satisfaction. We receive many positive replies to our ‘Client Care Questionnaire’ and it continues to provide immense satisfaction, when a client takes the time to acknowledge this. 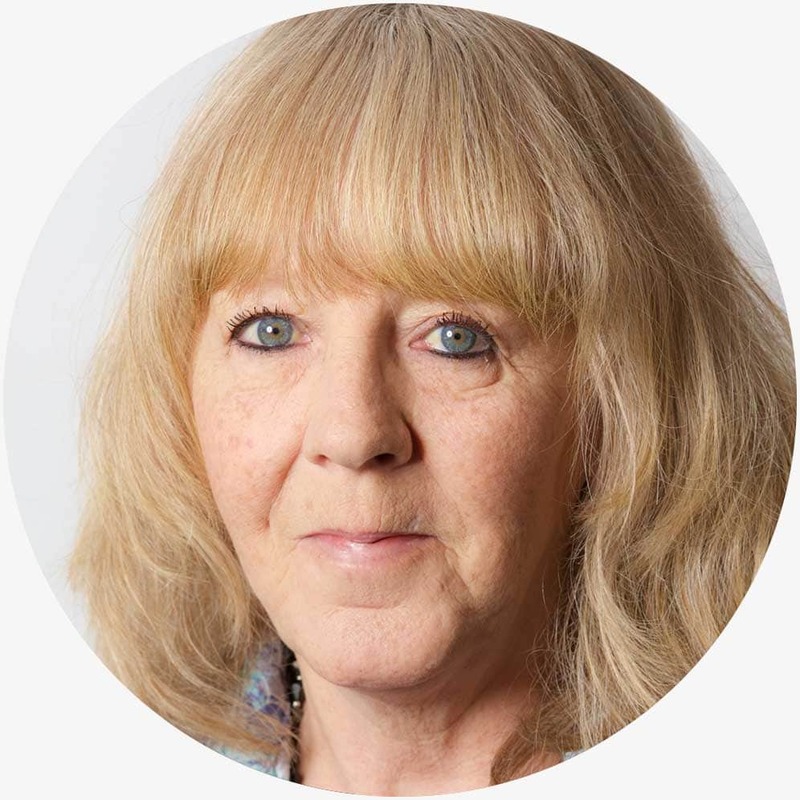 Mr Cain a client of Paul Crowley & Co was particularly impressed with the level of service he received when dealing with Jane Butterworth from our conveyancing department and added this comment. ‘All our client care questionnaires are highly regarded, it is our clients who can best judge whether we continue to succeed in maintaining a high level of professional service’. 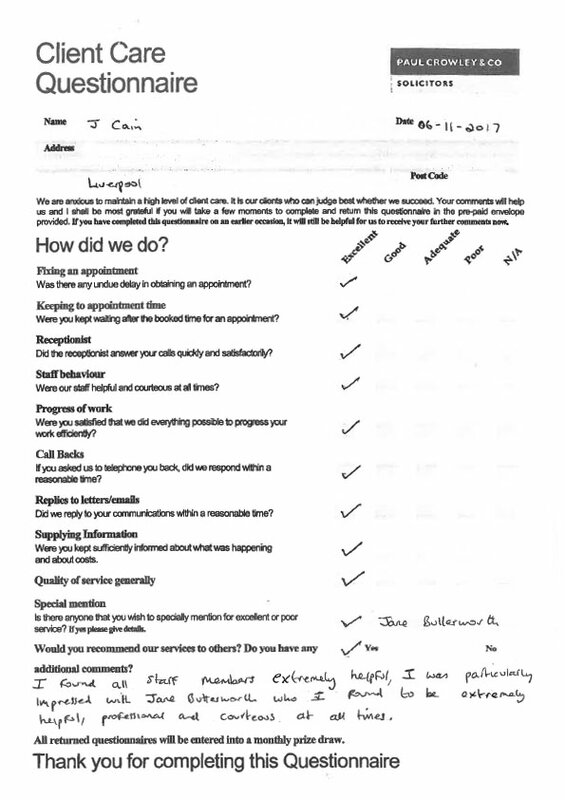 Please continue to send in your client care questionnaire as we value all our client feedback, it is only by listening to our clients’ and continuing to acknowledge their comments that helps us to maintain and improve the quality of our service, and enable us to gain greater client loyalty and achieve higher levels of client retention.